Packed with breathtaking air battles and ground tactics, this new addition to the Great Generals series features the controversial command and strategies of the former Air Force Chief of Staff. Curtis LeMay was a terrifying, complex, and brilliant general. In World War II, he ordered the firebombing of Tokyo and was in charge when atomic bombs were dropped on Japan. He was responsible for tens of thousands of civilian deaths, a fact he liked to celebrate by smoking Cuban cigars. 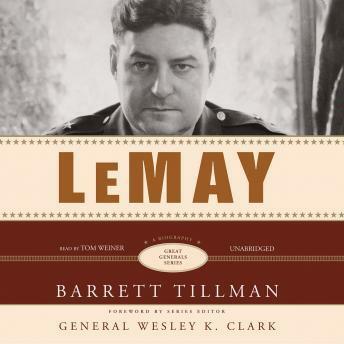 But LeMay was also the man who single-handedly transformed the American Air Force from poorly trained and badly equipped pilots into one of the fiercest weapons of the war. Over the last decades, most U.S. military missions were carried out entirely through use of the Air Force. This is LeMay's legacy.